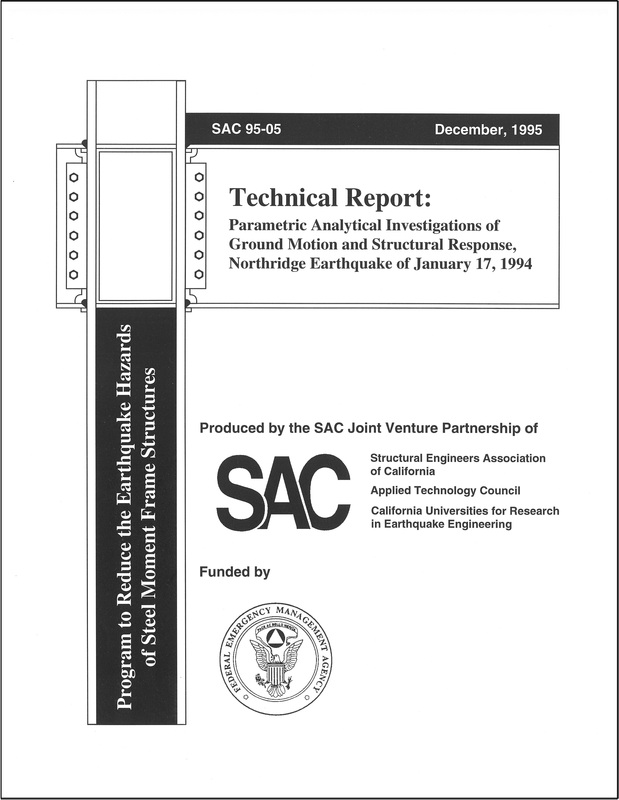 Minimum quantity for "Parametric Analytical Investigations of Ground Motion and Structural Response, Northridge Earthquake of January 17, 1994" is 1. ABSTRACT: This report is one of several detailed technical reports on investigations performed to provide new information to be used in the development of the SAC-95-02 (FEMA 267) Interim Guidelines report. This report contains five parametric analytical investigations of ground motion and structural response. This report is printed on-demand, so a 1-3 day delay for printing may occur.